Claudia Santori graduated with a degree in Animal Biology last year, and has actively been pursuing research opportunities in herpetology ever since. 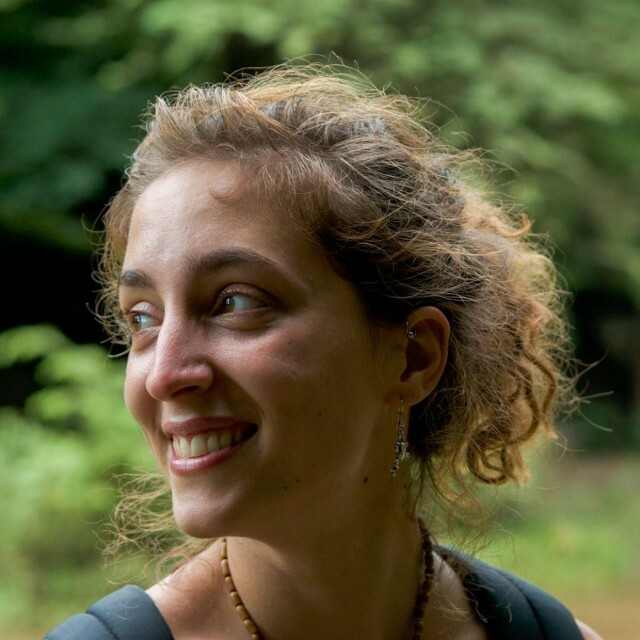 Claudia drops by to tell us about her time surveying the local reptiles and amphibians deep in the Ecuadorian rainforest. 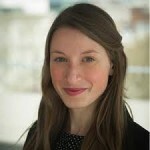 Hi Claudia, can you tell us a little about your research background? Ever since I started learning about the various environmental issues that we currently face, I have felt an ever-growing sense of responsibility to assist with the protection and preservation of wildlife. I strongly believe that if we act as a global community, with further biological research and by developing more sustainable lifestyles, we will able to halt the alarming rates of species extinctions and habitat degradation. Thanks to my undergraduate University career in Animal Biology, and various volunteering experiences, I was able to gain practical knowledge in the field of conservation biology. Since my graduation last year, I have been travelling and working on different projects related to wildlife conservation, and now that I am back in Europe I wish to specialise in this field through further education. Some months ago I was a research assistant on a project for sea turtle and mangrove conservation in the Osa Peninsula, Costa Rica, and recently I returned from Belize, where I was volunteering at a manatee and primate rehabilitation centre. Currently, I am a research assistant in Southern Germany, working on a study investigating the topic of animal personality in European field crickets. I will enrol on a MSc in Biodiversity Conservation and Management next month, and continue my path towards becoming a researcher in this field. 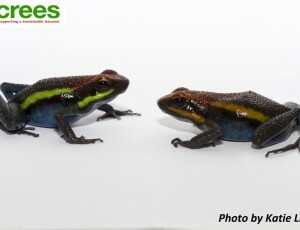 LEFT: Dendrobates graciliverpa. Ours was the very first encounter of this species at the JCR! 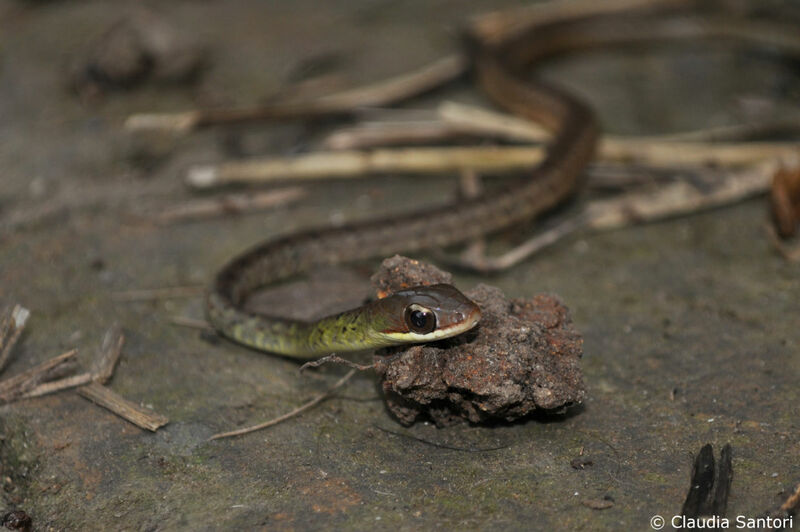 RIGHT:This Cope’s vine snake (Oxybelis brevirostris) looked like he was almost posing for us. 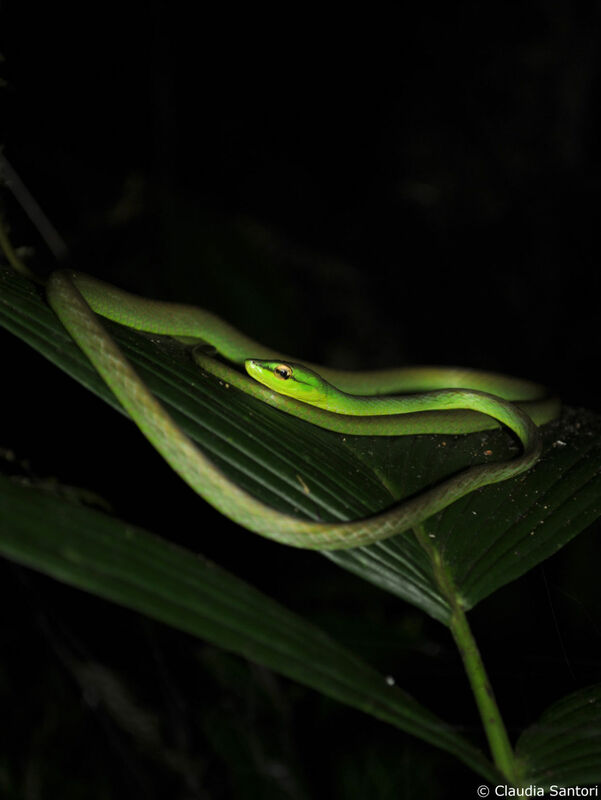 Beautiful nocturnal snake, found in the cloud forest. "Worldwide, 32.5% and 22% of amphibian and reptile species are endangered." What is your study species and why is this important? I am extremely passionate about reptiles and amphibians, commonly defined together as ‘herpetofauna’ or ‘herps’. 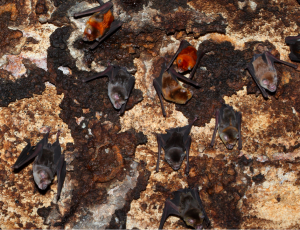 These animals sustain biodiversity by covering key roles in their ecosystems. Being consumers, predators and prey all at once, they are essential components of their food webs and play a crucial role in a healthy ecosystem. Unfortunately, the substantial decline in herpetofaunal abundance and diversity is now a well-known fact amongst conservation biologists. 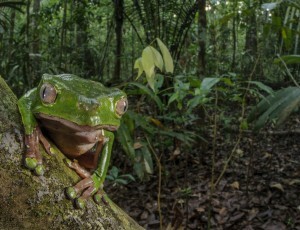 Worldwide, 32.5% and 22% of amphibian and reptile species are endangered, and current trends suggest even more species could become threatened in the near future. 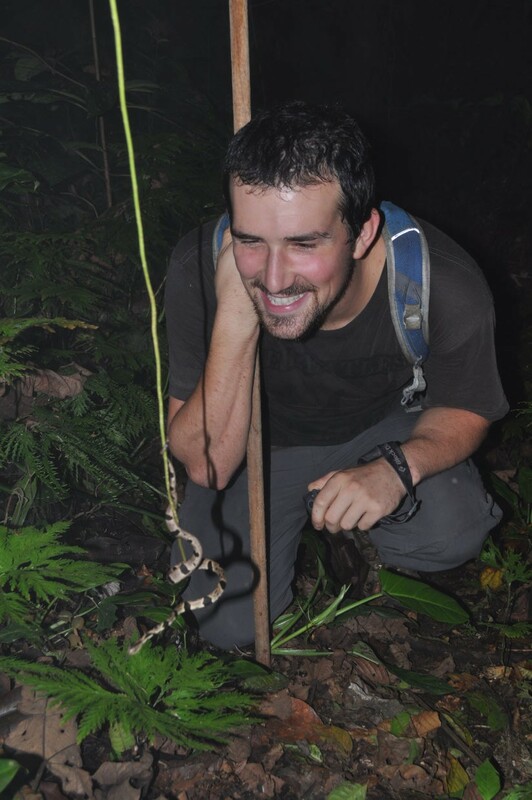 This past summer, I had the opportunity to carry out a study on neotropical herpetofauna, i.e. found in the tropical areas of the American continents. The Neotropics are thought to host up to 50% of the world’s reptiles and amphibians, yet very little is known about these animals’ ecology and distribution. This lack of knowledge makes conservation efforts remarkably challenging. My project was located in the Jama-Coaque Reserve (JCR), in the province of Manabí, coastal Ecuador. This land is considered part of the Tumbes-Chocó-Magdalena biodiversity hotspot, of which less than 2% of the original forest remains intact – mainly due to human activities such as logging, agriculture and cattle ranching. I carried out my project as part of an internship with Third Millennium Alliance, an NGO that since 2007 has owned and managed the Jama-Coaque Reserve, my study site. Some areas within the JCR have started to be reforested, and the original size of the protected area has slowly increased. A recent purchase has allowed the growth of the reserve to nearly 550 hectares. TOP: My first glass frog (Espadarana prosoblepon) encounter, possibly one of the most exciting moments during the whole project! LEFT: Walking in the forest at night you don’t only encounter reptiles and amphibians! 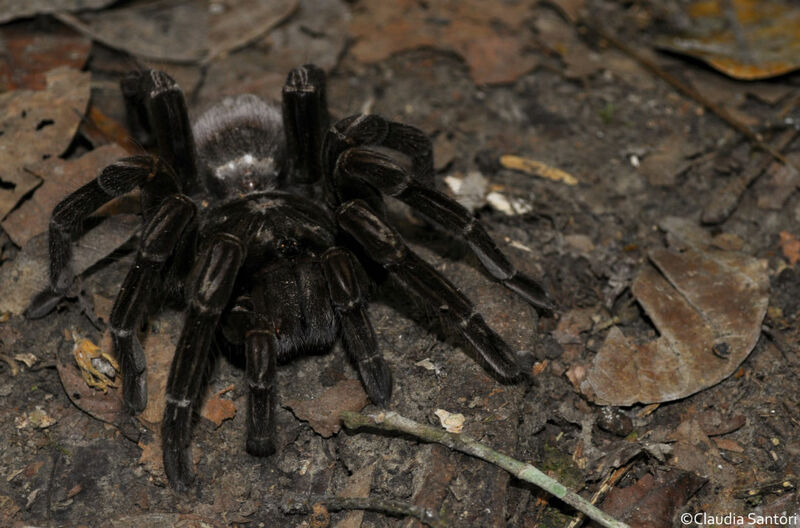 I believe this is an Ecuatorian brown velvet spider (Megaphobema velvetosoma). A beautiful looking male spider, a species which we encountered fairly often. RIGHT: Claudia with a recently caught specimen.
" Not having electricity made data entry and analysis on my laptop a little more difficult! Sometimes I needed to hike an hour down the mountain to the village of Camarones to charge the battery, and then an hour back to continue with the data collection and eat…"
What was daily life in the Jama-Coaque like? 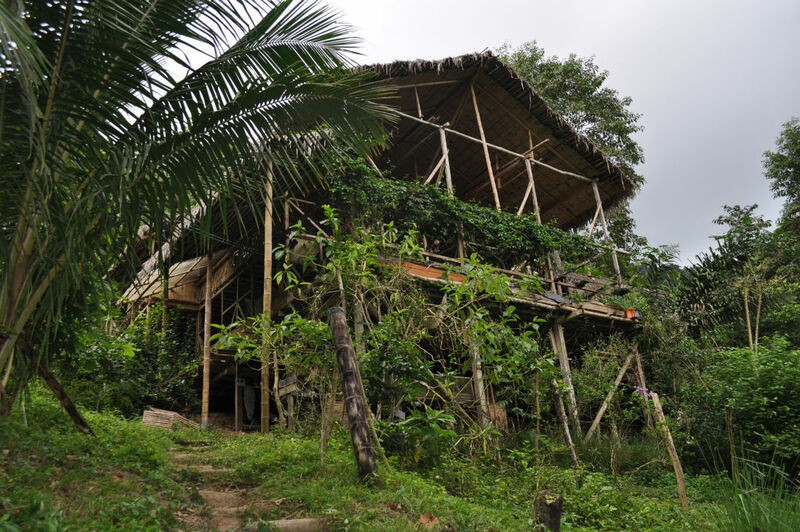 My home base was the ‘bamboo house’, a research station located in the middle of the JCR and surrounded by a lively moist forest. It was a wonderful place to live in. We had a stunning view over the valley, drank sand-filtered stream water, used compost toilets and ate locally grown fruit and vegetables. The bamboo house had a ‘no waste and only biodegradable products’ policy. Only natural soaps, shampoo and insect repellents were permitted, and if you produced any non-biodegradable waste it was your responsibility to dispose of it properly outside of the reserve. We were a team of 8 interns and 2 coordinators, sharing chores such as cleaning, feeding the chickens, turning the compost, harvesting bananas, and cooking duties. The living conditions were very basic: no electricity, no hot water, no phone reception and (mostly) no means of transportation other than your feet. The station was an hour’s hike up the mountain from the nearest village, Camarones. This village was another hour’s hike away from the nearest paved road, where you can catch a bus into a “more developed” town with internet cafes, restaurants and markets. You can imagine how even just sending an e-mail was quite a mission! 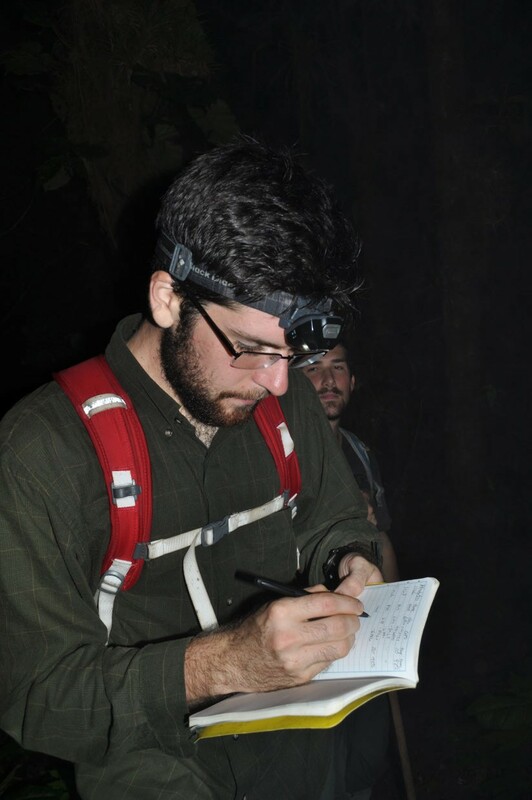 My colleague and I carried out both night and day surveys to estimate the JCR’s herpetofaunal biodiversity in the dry season, using the data to increase the knowledge of the local community composition. 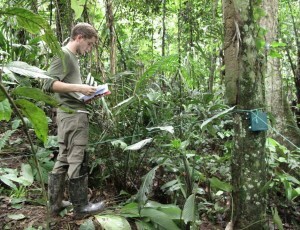 Comparing factors such as temperature, elevation and distance to water, we assessed the species diversity and abundance of the three main ecosystems found within the reserve: tropical moist evergreen forest, premontane cloud forest, and an area that was reforested in 2013. We would leave early in the morning for our daytime survey, come back for lunch and then go out again at sunset for the nocturnal one. We would hike daily through dense moist and cloud forest vegetation looking for reptiles and amphibians, and using the reserve’s trails to navigate. The hikes would be often exhausting, due to extreme humidity (sometimes reaching 99%) and high temperature. 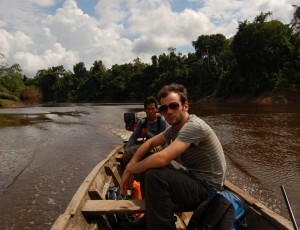 However, the rich environment and fauna that we’d encounter would make every step worthwhile. 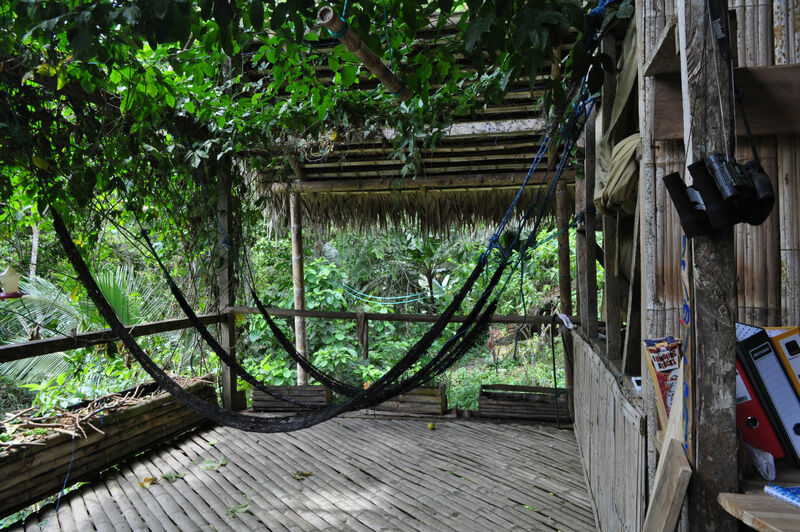 ABOVE: The bamboo house and living area.
" I strongly believe that if we act as a global community, with further biological research and by developing more sustainable lifestyles, we will able to halt the alarming rates of species extinctions and habitat degradation." I really enjoyed working for herpetofaunal conservation. Knowing that these animals are extremely endangered, and that we still know little about them, motivated me throughout my study and made me feel very proud of our efforts. 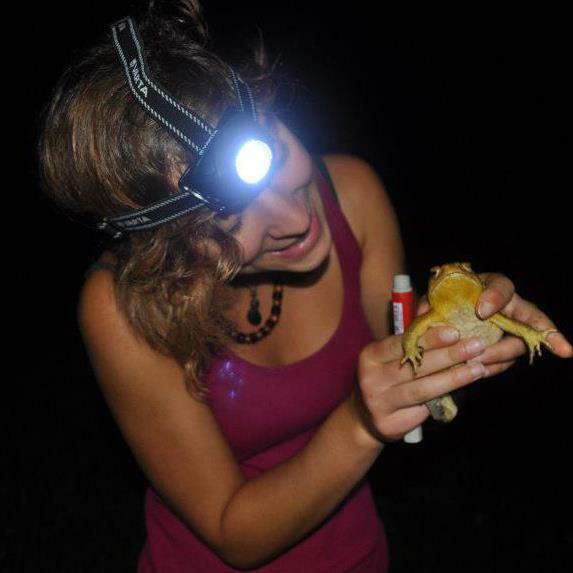 It was my first scientific experience with reptiles and amphibians, and studying them in the field was just incredible! It certainly inspired me to pursue further conservation research, and confirmed that this is the future field in which I wish to work. 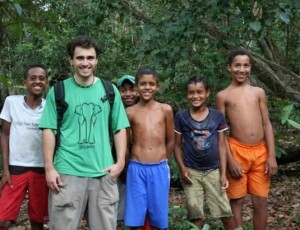 Living at the Jama-Coaque Reserve was an experience I will never forget. Being in such a remote place, completely submerged by the forest, is something that really changes your life. Although I had none of the amenities we normally have easy access to, e.g. hot water and electricity, I was awoken every morning by troops of howler monkeys. I regularly encountered capuchins and humming birds, and the insect choirs at night were out of this world. Living at the JCR’s research station undoubtedly reset my concept of what is truly necessary in life, and what previously seemed necessary when living within a capitalistic society no longer does. Also, it strongly underlined what we give many for granted, which instead should be considered a luxury. Was there anything that was particularly difficult? The hardest aspects were definitely related to living in such a remote environment. The first few days I had to adjust to having no contact with the outside world, as well as the fact that day-to-day normalities such as shops and phone/internet connection were so distant. Also, not having electricity made data entry and analysis on my laptop a little more difficult! Sometimes I needed to hike an hour down the mountain to the village of Camarones to charge the battery, and then an hour back to continue with the data collection and eat. However, these challenging aspects were never a real issue, it was just a matter of adjusting to a new reality! 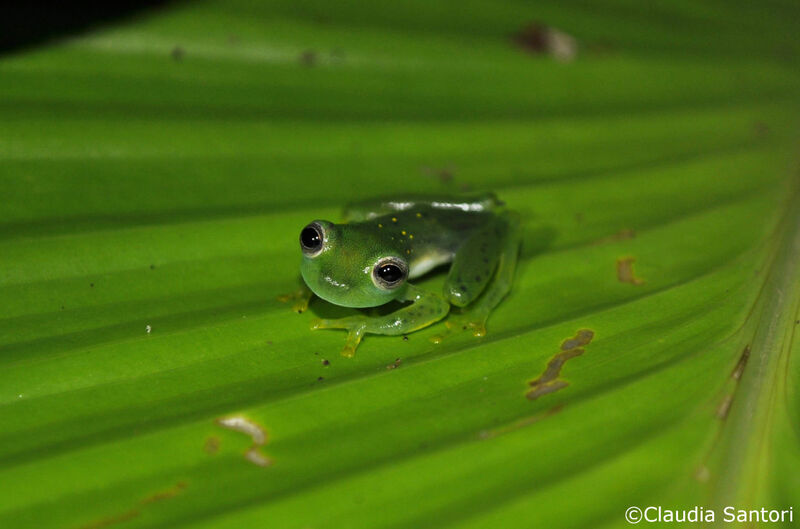 TOP: Sometimes frogs are difficult to identify, and you have to observe minute details to tell species apart. Details like the iris coloration can make a big difference! 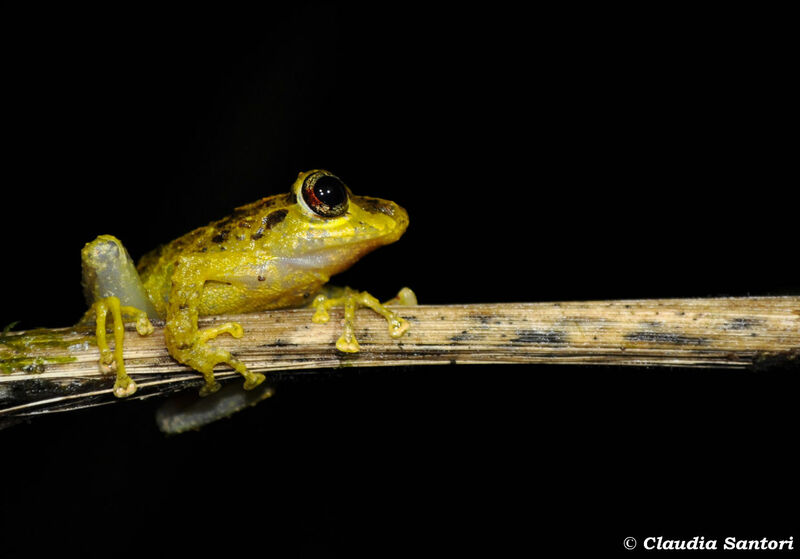 For example, this Pristimantis latiscus has a red band crossing its eye. BOTTOM LEFT: For each individual, we’d note down he exact location with a handheld GPS device, and then write down the temperature, elevation and humidity of the encounter site. BOTTOM RIGHT: An Andean snail eater (Dipsas andiana) found during a night survey. There isn’t much that I felt I would have needed in terms of equipment, as Third Millennium Alliance provided us with most of our kit (GPS handhelds, thermometer, ID keys). I probably would have brought a strong tick-repellent, as in the reforested area there were so many that one day I found more than ten on me!  In terms of knowledge, I would have liked to perhaps have a little more experience with statistical analysis of survey data, as that was the part of the project I struggled with the most. The identification of some species was very challenging, but we had the external supervision of our Research Coordinator, a herpetologist that we could always send our photos to if in doubt. The field work itself went very smoothly, even at night, and always having a GPS device with us meant that we could never really get lost! Thanks Claudia and good luck with your research!